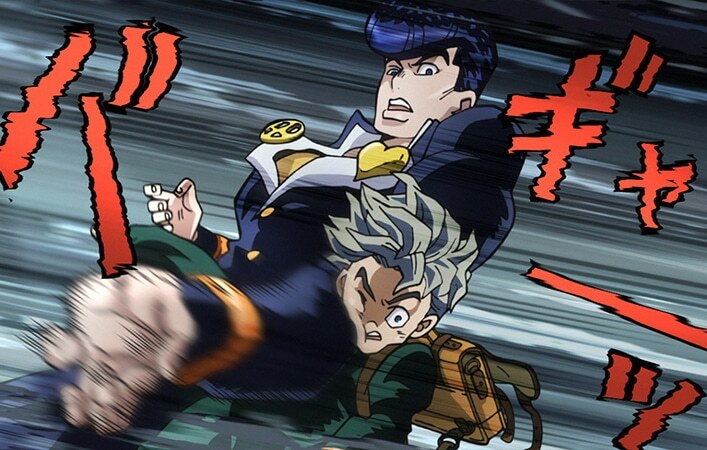 Jojo’s Bizarre Adventure Part 4: Diamond is Unbreakable has been one hell of a ride so far. We are 7 episodes in and soon the 8th episode will be airing. Each episode gives us yet another chapter in the bizarre town known as Morioh. 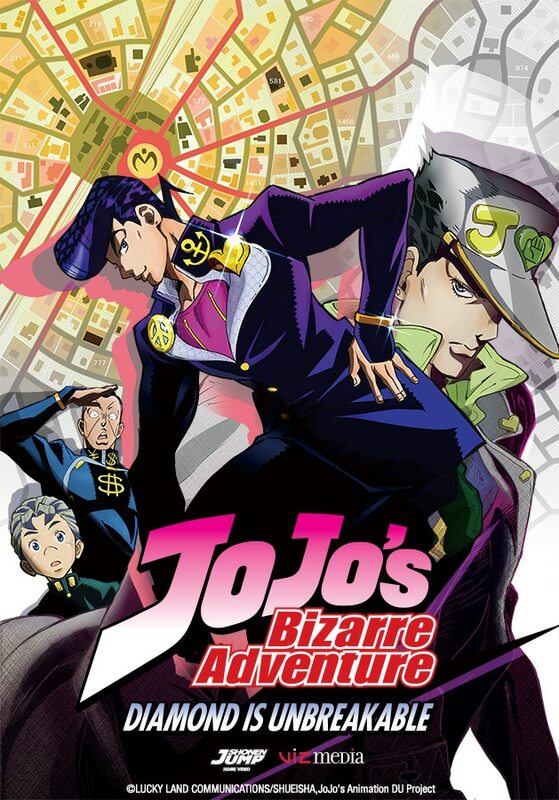 And each part in the JoJo series has introduced us to yet another person in the Joestar bloodline; I explain this more in my previous feature about this show, so check that out if you are interested in learning more about the newest member of the Joestar family, Josuke. In Part 4 we learn about the origin of the stands. 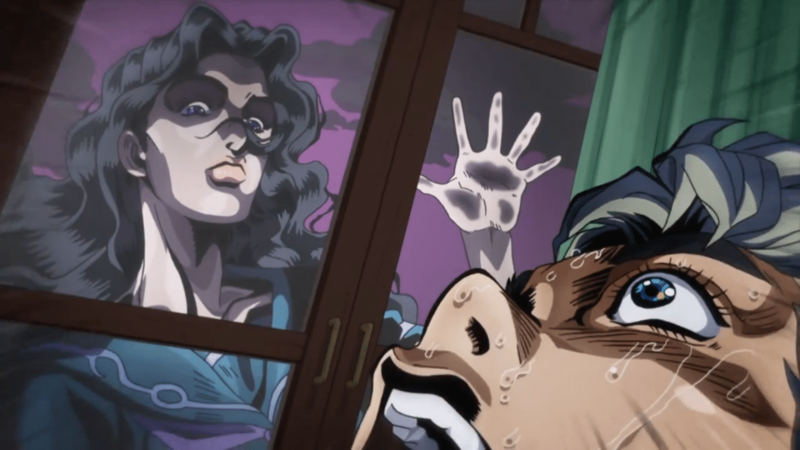 In fact we were recently introduced to Okuyasu, who before becoming friends with Josuke, witnessed his brother Keicho’s death by the hands of an unknown stand named Red Hot Chili Pepper. The Irony is, Keicho is the man who gave this person the ability to use stands from the get-go. The brothers had access to a bow and arrow and if they were to shoot someone, that person would gain the ability to use a stand. Keicho’s motivations was to use this to get someone to kill their father, who has been put under a horrible spell after Dio was defeated by Jotaro Kujo in Part 3. This plan backfires and ends up with Keicho being killed and the bow being stolen by the aforementioned stand. Ever since then Okuyasu has enrolled in the same school as Josuke and Koichi Hirose (who was also shot by the arrow and given the stand: Echoes). Okuyasu wants to find that stand and avenge his brother’s death. Right now in the anime we learn that Stand users are drawn to each other by some sort of unknown force. And because of that they will meet each other at some point, almost like its their destiny. Koichi learns this first hand when Yukaku Yamagishi confesses her love to him. He soon finds out that she is a stand user and can use her hair to control people or even set them on fire! She has kidnapped him and is keeping him trapped in this secluded house on the outskirts of town. You can see why this show has me hooked! 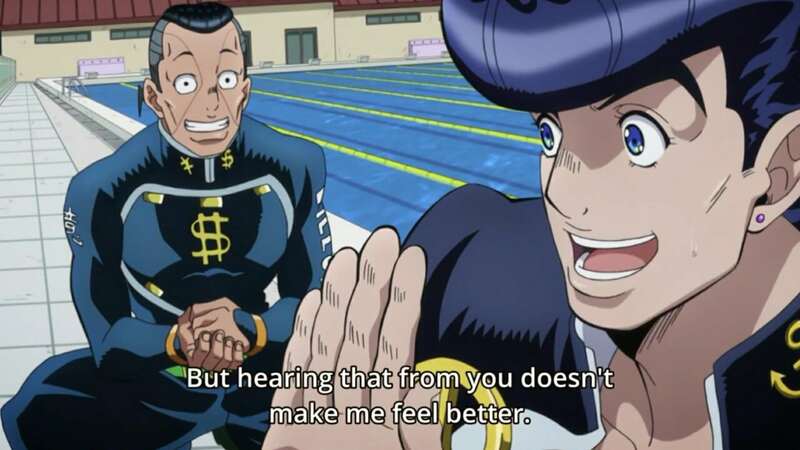 Every time Josuke appears he has something fun to say. Every time I hear DORARARARARARARARA it makes me smile. Jojo Part 4 is a really fun series and one you should definitely put on your radar if you have not already! I hope the rest of the series keeps up the pace and introduces more ridiculous enemies and over-the-top insanity. I will write a full review of this show that will go in more depth once the season of it ends. Watch it, or else she will find you!